These are instructions on how to jailbreak your iPhone 3GS or iPhone 4 on iOS 5.0.1 without updating the baseband using RedSn0w for Mac. You may want to do this to preserve an unlock from a lower baseband version. Please note this jailbreak is tethered for every device but the old bootrom iPhone 3GS which means you will need to connect your device to the computer each time you reboot. 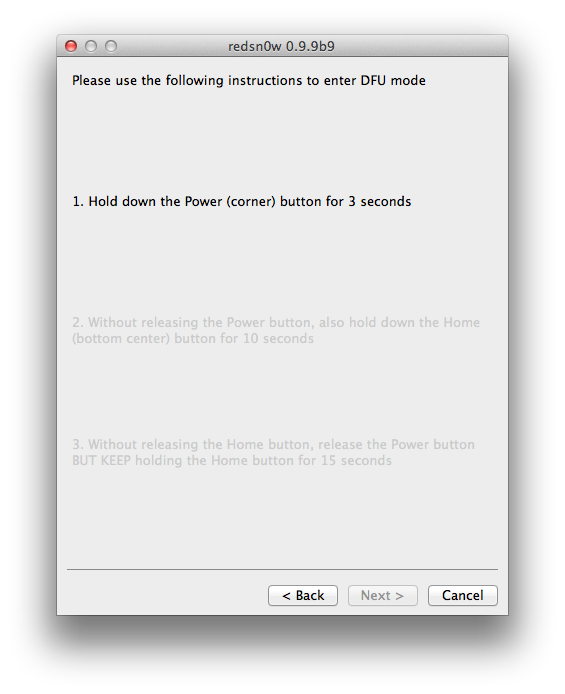 Also, it may be prudent to save your SHSH Blobs by following this tutorial before continuing if you haven't already. 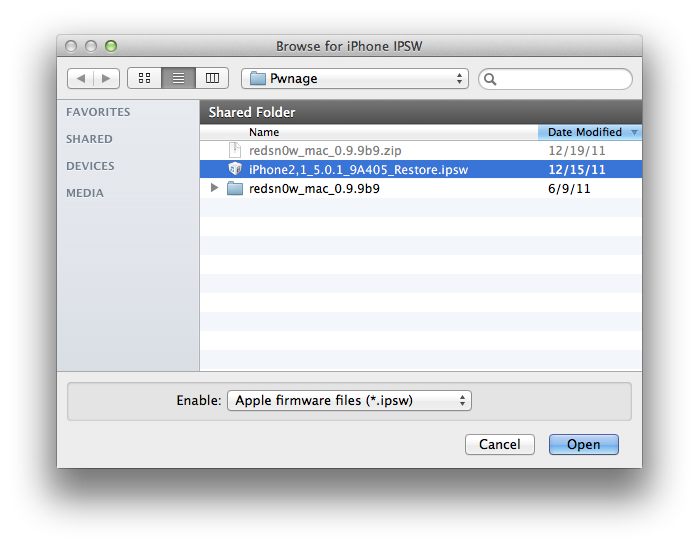 Download RedSn0w 0.9.9b9d or higher from here and place it in the Pwnage folder. Likewise, download the 5.0.1 firmware from here and place it in the Pwnage folder. Click to select Extras from the main menu. 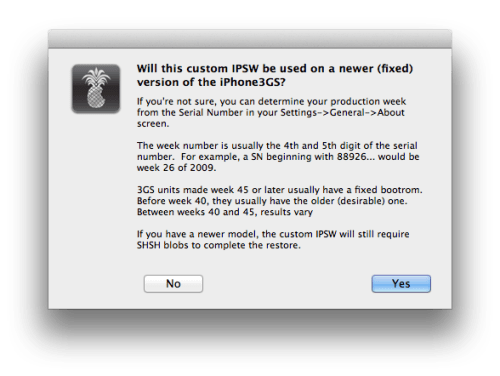 Click to select Custom IPSW from the Extras menu. 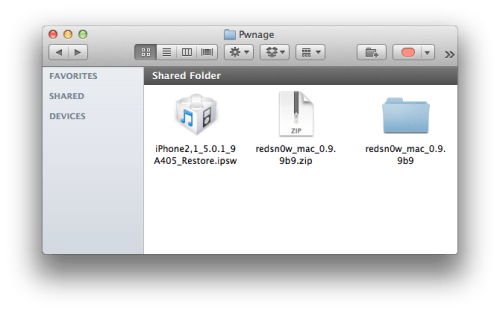 Navigate to the Pwnage folder on your desktop and select the IPSW we downloaded then clickOpen. RedSn0w will now begin building a custom IPSW for you. You'll be notified once RedSn0w has completed building your IPSW. Click the OK button. Click the Pwned DFU button from the Extras menu. RedSn0w will run the LimeRa1n exploit. 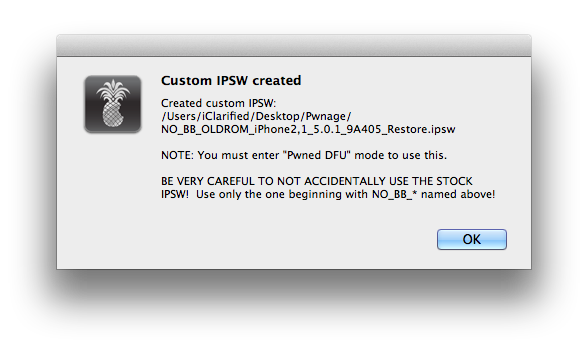 You'll then be notified that your iPhone is in Pwned DFU mode. Launch iTunes by clicking its icon in your dock. Select your device from the list on the left then under the Summary tab hold down the Option key and click the Restore button. 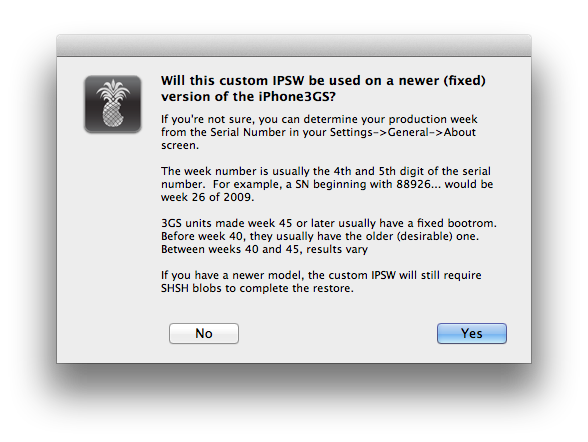 iTunes will now restore and jailbreak your device using the Custom IPSW. 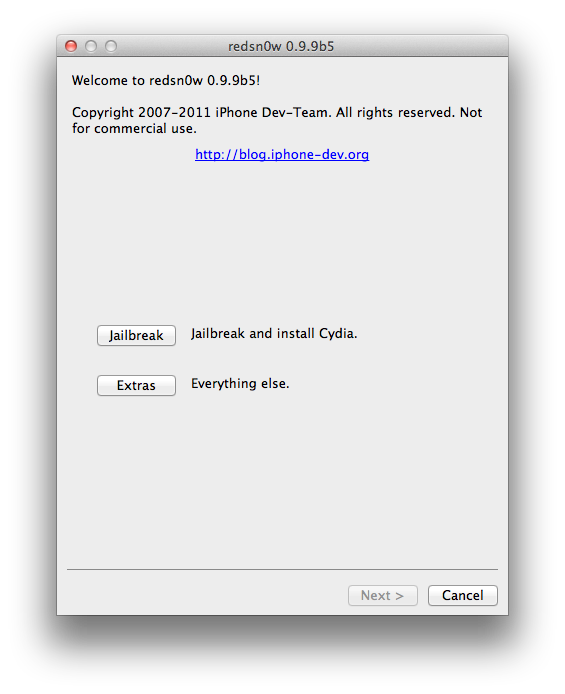 Follow these instructions to jailbreak your device on the new iOS 5.0.1 firmware.